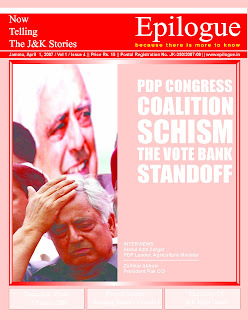 Describing themselves as natural allies at the time of formation of coalition government in October-November 2002, uncalled for conflict between PDP and Congress started showing towards the end of 2006. It reached almost a point of no return on March 2007 when Prime Minister Manmohan Singh intervened to save the coalition form a disastrous fall. Our April 2007 issue, thus, came out with a fearless commentary on the politics of vested interests. This issue also carried an interview with Zulfikar Abbasi, president of PaK CCI who later led a trade delegation to J&K in October 2008.